You will notice that they run in opposite directions. In mathematics and other sciences, we use the term chirality to describe the difference between these twins. Something is chiral when it is not identical to its mirror image. Examples of this in nature abound. Chiral molecules in chemistry are molecules that have almost the same structure, except that one is a mirror image of the other. The most famous chiral molecule is probably the DNA. Electromagnetic waves can be left- or right-polarized, as another example. 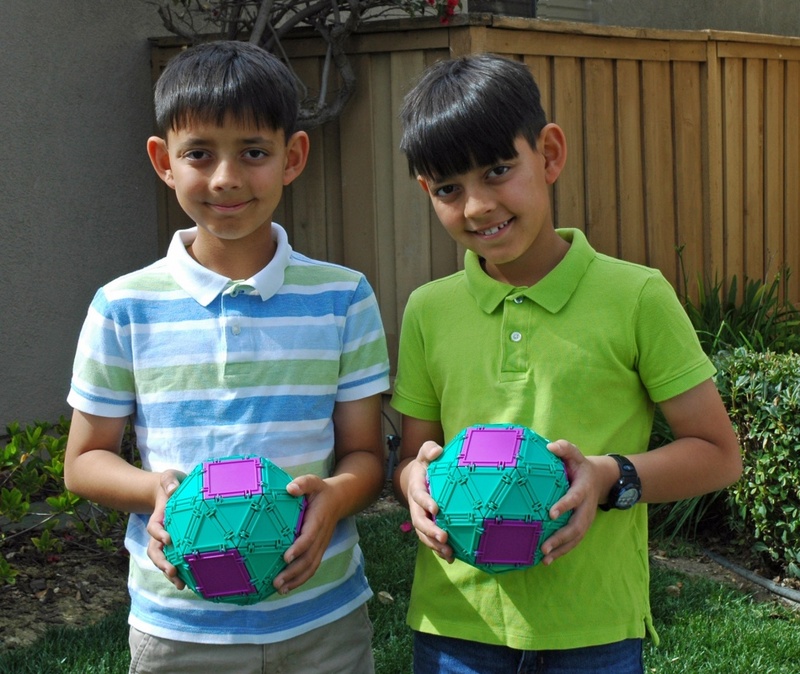 But let’s focus on something more tangible, like the polyhedra that the boys are holding. Each of the polyhedra is a snub cube, which is one of the thirteen Archimedean Solids. 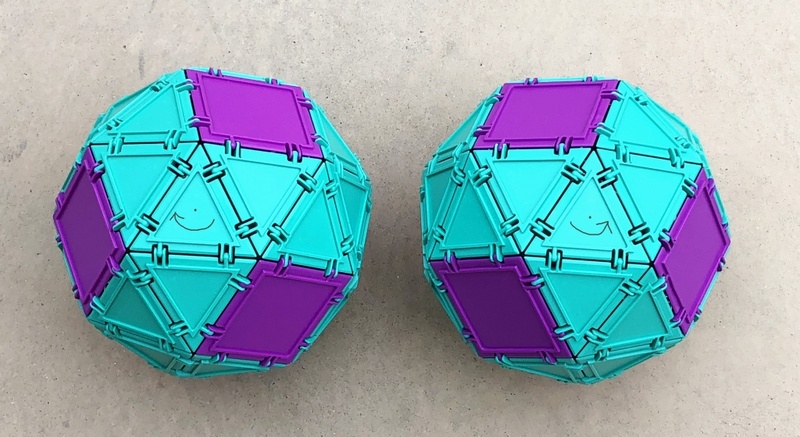 The snub cube, along with the snub dodecahedron, are the only Archimedean solids that have chirality. Look closely at the snub cubes the boys are holding. Just like the boys, the cubes are mirror images of one another! What chiral items can YOU find in your every day life? You don’t have to look further than your own house to see them. Fusilli pasta in the kitchen, the whirpool in the bathroom sink, the screws in the garage… Just keep your eyes open. Calculus in a ChairJulia Robinson Mathematics Festival Celebrates Math with Geometiles!